According to a 2016 survey by the Urban Institute Health Policy Center, 83.1% of all U.S. workers had access to some form of employer-sponsored health insurance plan, up slightly from 2013. Workers at large firms fare better: 94.1% of employees of firms with more than 50 full-time-equivalent employees have access to employer-sponsored care plans. Workers at firms with fewer than 50 full-timers aren’t so lucky: Just 62% have coverage. That’s largely because small businesses aren’t required to provide employer-sponsored coverage under the Patient Protection & Affordable Care Act (PPACA, popularly known as Obamacare, or the Affordable Care Act). And the ACA doesn’t require businesses of any size to provide employer-sponsored health insurance to part-time employees, which the law defines as those working fewer than 30 hours per week for the same employer. According to a report from The Census Bureau in 2013, just 24% of U.S. part-timers have access to employer-sponsored health insurance. Because all Americans are required by the Affordable Care Act (ACA) to maintain health coverage, regardless of their employment situation, part-time jobs that provide health benefits are particularly desirable. If you don’t currently have access to health insurance through your employer, an option is going through eHealthInsurance.com. If you have access to a high deductible plan you can also use a health savings account (HSA). Another option to consider would be to use a Medi-Share plan. Many part-time workers do receive subsidies under the Affordable Care Act, making it more affordable to purchase individual healthcare plans from private insurers through state-run or federal exchanges. But some workers earn too much to qualify for subsidies under the ACA. (If you earn more than $50,000 per year as an individual head of household, you won’t qualify.) This can put exchange-based individual or family insurance policies out of reach. While workers with suitable credit profiles often take out unsecured personal loans to cover unexpected healthcare costs, no one should have to choose between their health and credit utilization rate. In recent years, some companies have scaled back or eliminated benefits packages for part-time workers. Target, Walmart, Trader Joe’s, and Home Depot have all discontinued health and retirement plans for part-time staff in recent years, raising the threshold for health coverage to 30 hours per week (as per PPACA regulations), and retirement benefits to 40 hours per week. For health, dental, and vision coverage, workers who don’t work 30 hours per week must turn to state or federal insurance exchanges. Fortunately, some companies still offer health benefits and other perks, such as dental coverage and 401k plans, to part-time employees who work less than 30 hours per week. Here are some of the largest, most geographically diverse companies. Austin-based Whole Foods Market employs approximately 100,000 workers, 25,000 of whom are classified as part-timers. With 470 locations in the U.S., U.K., and Canada, Whole Foods is the world’s largest purveyor of natural and organic foods, and its workers are among the industry’s best-compensated – the chainwide average hourly wage is north of $20, although less experienced part-timers make considerably less. It bears noting that online retail behemoth amazon purchased Whole Foods Market in 2017. It’s too early to tell how the transaction will affect Whole Foods’ part-time employees, but Amazon appears to have ambitious plans for the company that could dramatically change its work environment. Time will tell whether that’s for better or worse. Following a probationary period, Whole Foods employees who work at least 20 hours per week are eligible for the company’s full medical, dental, and vision package as soon as they accrue 800 total hours of service. All benefits are optional, and they’re not fixed in an employee contract, so management reserves the right to rescind them at any time. Details of the plan aren’t public, but it’s well-known that part-timers pay a significant share of the premiums out of pocket. (Full-timers earn a generous employee match – close to 100% of premiums.) The minimum deductible is reported to be $1,500. Part-time employees who pass the 800-hour mark are also eligible for a 20% discount on store purchases, subsidized life insurance for a monthly fee, paid sick and vacation leave, stock options, health savings accounts, and 401k plans, into which all employees are automatically enrolled after six months of service (unless they opt out). The company doesn’t have a set match for 401k contributions, but generally matches veteran workers’ contributions at higher rates than newer employees. 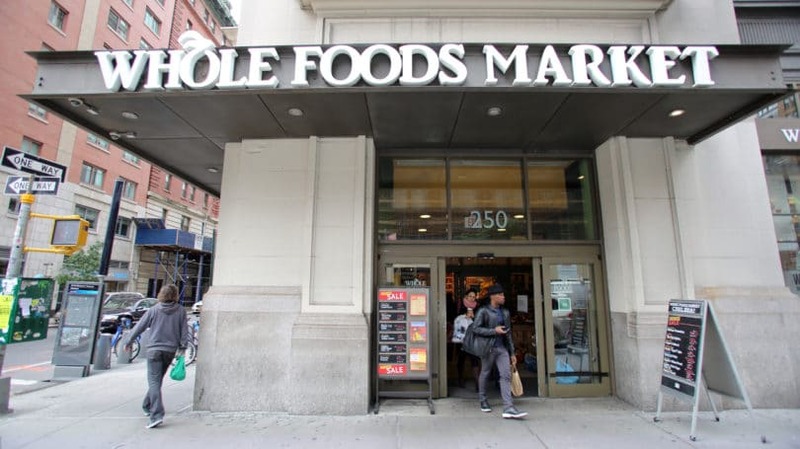 Whole Foods also offers a gain-sharing program, including bonuses for rank-and-file employees which are paid from the unused portion of their department’s annual labor budget. According to ABC News, the average employee earned almost $2,500 in total gain-sharing incentives in 2013. Formerly known as Aerotek, Maryland-based Allegis Group is a staffing firm that employs roughly 10,000 full-time employees, and almost 100,000 contractors and temp workers. The company does business through several subsidiaries, including one that bears the Aerotek name, and its benefits apply to all temp and contract employees who work at least 20 hours per week. At hiring time, all qualifying Allegis Group employees are immediately eligible for medical, dental, and vision coverage, paid for through employee paycheck contributions. Plan details aren’t publicly available, but there are also unsubsidized coverage options for employee dependents. Contract workers and temps must apply for benefits within 30 days of hire, or wait until the next open enrollment period. Allegis also offers a health savings account, and the company makes matching contributions at its discretion. Allegis Group also offers a 401k plan with a dollar-for-dollar match on the first $500 contributed, and a 50% match on the next $500, for a total employer match of $750 annually. These figures are subject to change, so check back regularly or go directly to Allegis for up-to-date information. Benefits may vary by subsidiary as well. Allegis also provides an annual profit-sharing bonus, at the managers’ discretion, to internal (not contract) part-time workers at its subsidiaries. Eligible employees may receive part of the profit-sharing bonus as a 401k deposit that’s separate from the annual employer match. Other benefits include life and disability insurance, a 529 college savings plan, and paid sick leave and vacation time. These benefits are immediately available to new hires, although vacation and sick leave accrues according to a time-served schedule. Seattle-based Costco is the country’s second-largest retailer, maintaining roughly 725 warehouse stores and 126,000 employees. With a starting wage of $11.50, and a company-wide average of $21 per hour, the company’s compensation is even more generous than Whole Foods’. Its pay scale is flatter too – the CEO made about $781,000 in cash compensation and $6.4 million total in 2016, less than 30% of Walmart CEO Doug McMillon’s earnings, and approximately 50 times the average Costco employee’s. And with the vast majority of all employees participating in a health or retirement plan, their benefits are pretty popular. Any Costco employee who works more than 24 hours per week and logs 180 days of service is eligible for the Choice Plus health plan, which enables members to choose their own providers. Part-timers also have access to a low-cost dental plan, which covers preventative visits and some costs of basic procedures, as well as basic vision coverage. Since all Costco locations have a pharmacy, part-time employees enjoy an in-house prescription plan (separate from Choice Plus), with $5 copays for generic drugs and 5% to 15% copays for branded medications. Payroll deductions for Choice Plus plans are available in Costco’s Rate Benefits Booklet, which is only available to Costco employees. Coverage for each dependent costs an additional $30 per pay period. Part-time employees can access Costco’s 401k plan, which includes a maximum company match of $500 annually. An optional flexible spending account (FSA) lets employees use pre-tax earnings to pay for daycare, which Costco claims may provide up to $2,000 in cost savings each year. 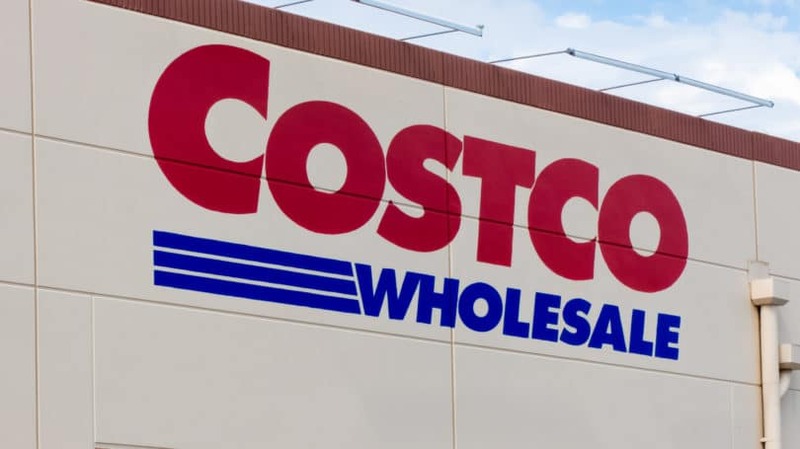 Costco’s Care Network provides free mental health counseling, and offers referrals to debt counselors and lawyers, who charge fees for their services. Other benefits include a direct stock purchase plan, disability and life insurance, and long-term care insurance. All of these benefits are available to part-time staff who log 180 days of service and work more than 24 hours per week. Charlotte-based Lowe’s, one of the world’s largest home improvement outlets, has about 260,000 employees spread across 1,840 locations in the U.S. and abroad. The company has seen its share of employment-related controversies, including lawsuits that allege improper denials of overtime compensation for non-exempt employees. 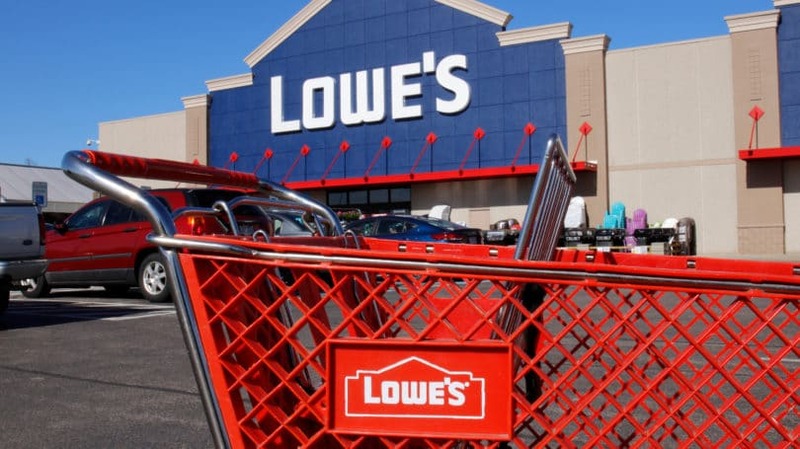 We’re not in a position to assess the relative merits of those suits – our job is to determine whether Lowe’s offers solid benefits for part-timers. It’s pretty clear that they do – and they’re not shy about it. Seriously: Lowe’s is to be commended for transparently posting a summary of its part-time employee benefits online. That’s very rare for a major company, in my experience. Usually, you have to wait until you’re deep into the hiring process to see that sort of detail. Once they hit 89 days of consecutive service, part-time employees enjoy access to a very good health plan that covers 100% of the cost of all preventive care and up to four primary care visits per year. The Lowe’s health plan has no annual deductible or coinsurance, which is great. On the negative side, there’s no out-of-pocket maximum or specialty care included. The plan’s employee share is $20.45 for individual employees and $52.23 for families, biweekly. Though that’s not insignificant, it’s likely more affordable than unsubsidized individual market plan premiums. Limited dental and vision coverage is also available for an additional charge. There’s no minimum hours-worked threshold to qualify, but employees must apply within 31 days of hire or wait until the following open-enrollment period. Lowe’s part-time staff can also enroll in life insurance and short-term disability plans. The company has a direct stock purchase plan after one year of service, a 401k plan after one year of service, and 40 hours paid vacation time after 180 days of service. Lowe’s matches 401k contributions dollar-for-dollar up to 3% of employees’ gross income. Seattle-based Starbucks has more than 24,000 stores and employs nearly 240,000 workers globally. Most Starbucks employees are part-time. The coffee company has a reputation for treating its workers well – average annual earnings for hourly employees are just over $35,000, and the typical shift supervisor earns north of $11 per hour (higher in pricier labor markets). Starbucks was also one of the first food service chains to offer a comprehensive employee benefits package. 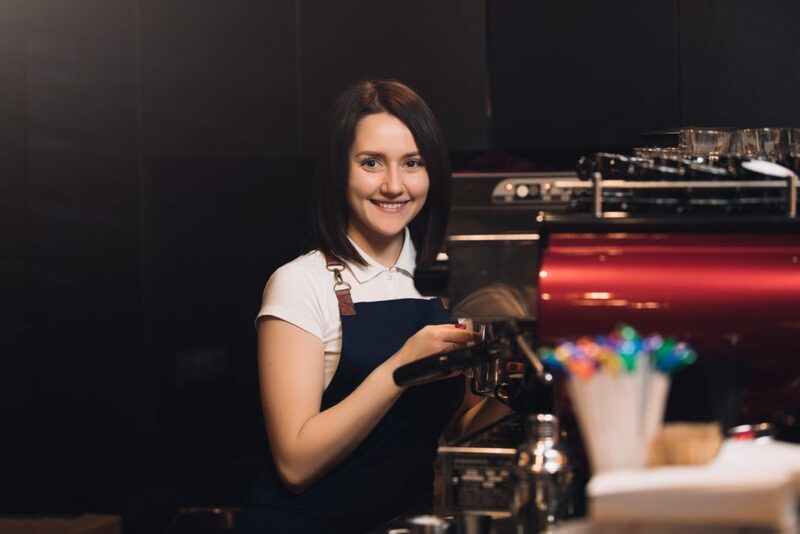 Employees who work more than 20 hours per week (or 240 hours per quarter) are entitled to the Starbucks Special Blend, a comprehensive benefits package. The health portion includes various medical plans, all of which cover 100% of preventive care costs. Basic plans require employee contributions of just 30% of the total plan premium, which isn’t public, while more comprehensive plans may include coverage for non-traditional care, such as acupuncture and chiropractic services, at higher out-of-pocket rates. A dental plan that covers preventive visits and some procedural costs is also available, as is a basic vision plan. As noted, the Starbucks Special Blend is comprehensive. Other benefits include short-term disability and death/dismemberment insurance plans, employee assistance programs that include low-cost counseling, adoption assistance of up to $4,000, college savings plans, and a 401k plan that includes an employer match of up to 6% of total employee contributions. After one year of service, part-timers also accrue 40 hours of paid vacation per year. Atlanta-based UPS is among the world’s largest logistics firms, with about 430,000 employees globally. Its delivery workers start at $11 per hour, but most earn more – according to PayScale, UPS truck drivers’ annual earnings range from $35,680 to $81,626, depending on seniority. Those willing to work nights and holidays, especially during the mad rush between Black Friday and New Year’s, can really rack up overtime pay. What about benefits? Well, many of UPS’s U.S. hourly employees, including warehouse and delivery workers, operate under collective bargaining agreements that have produced attractive benefits packages. Here’s what those look like. After 12 months of work, all UPS part-time employees who work at least one hour per week can choose basic health plans that cover preventive medical and dental services. These plans includes a low copay for generic prescription drugs, and coinsurance for more expensive procedures. A basic vision plan is also included. Under the terms of UPS’ current collective bargaining agreement, part-time workers pay nothing out-of-pocket for these benefits, setting UPS apart from most other companies providing part-time benefits – most companies require employees to contribute a portion of their pay to the health plans. Depending on their role, workers may be eligible for union-administered plans subsidized by UPS contributions. These plans are subject to change at UPS’s discretion and with alterations to collective bargaining arrangements, so do check with UPS management before applying. UPS workers enjoy a slew of other benefits at little or no out-of-pocket cost: life, disability, and death/dismemberment insurance, adoption assistance, and tobacco cessation support. Dependent spouses and children qualify for some of these benefits as well. 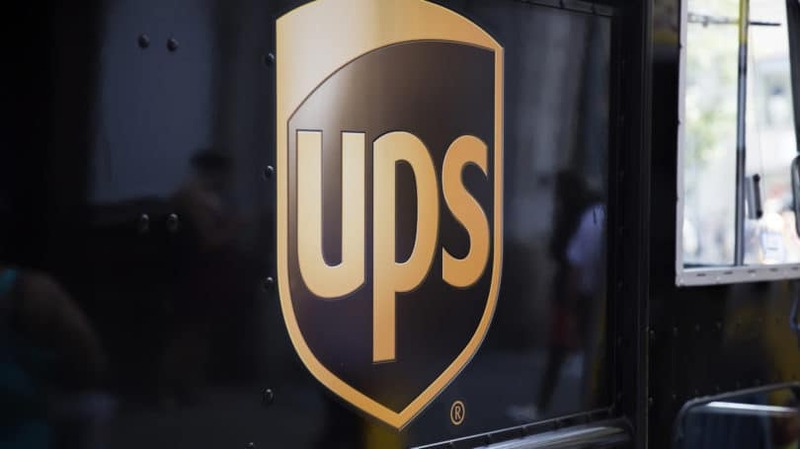 UPS also offers supplemental life insurance, personal lines insurance (auto and home lines), legal assistance, and health savings accounts for workers and dependent spouses, children, and elders. These products all require employee-paid premiums. Finally, since nearly half of its part-time employees take college courses, UPS offers tuition assistance of up to $5,250 per year, with a $25,000 lifetime cap, through the Earn & Learn Program. New employees are immediately eligible for this benefit. With 12,000 employees at just over 150 retail stores, Seattle-based REI is routinely cited as one of the country’s best retailers to work for. It’s still structured as a co-op, although not every employee has an ownership stake, and high-level decisions are made by a traditional board of directors. Most employees start above $10 per hour in wages, and the company has a notoriously flat pay scale – its CEO made just $750,000 in 2013, and not much more in subsequent years. 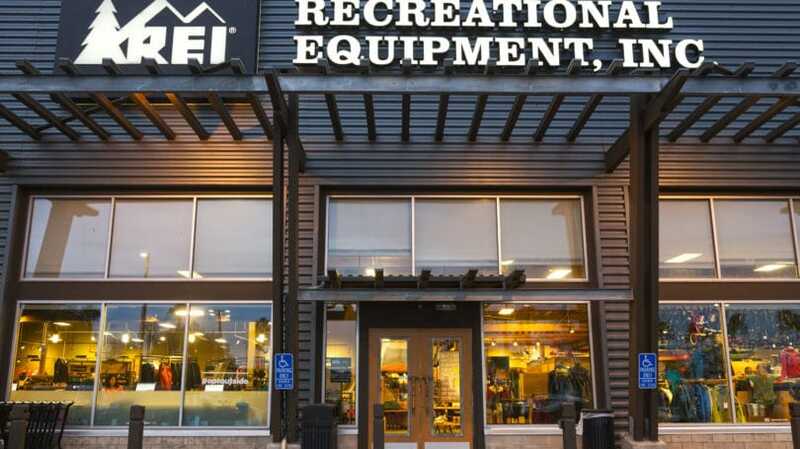 REI once offered benefits to all employees, including those working just a few hours per week. Though it discontinued this practice in the mid-2010s, REI still extends “full-time” benefits to all employees working at least 20 hours per week. Per REI’s Pay and Benefits statement, employees averaging fewer than 20 hours per week get “tools” to help navigate the individual health insurance marketplace – though it’s not clear exactly what that means. Non-exempt REI employees (those who receive overtime pay for logging more than 40 hours in a week under the Fair Labor Standards Act) averaging at least 20 hours per week can access the company’s FLEX plan, which shoulders most of the premium burden for medical and dental coverage. (The exact share depends on the plan selected – there are several.) Exact premium costs aren’t publicly available. Vision coverage is less generous. REI also offers basic life insurance, disability insurance, and 401k plans that are immediately available to part-timers who work 20 hours per week. It shoulders the full cost of life and disability insurance. The retirement plan includes a dollar-for-dollar company match, up to 5% of total income, with the potential for a profit-sharing 401k deposit equivalent to 10% of the employee’s total income. Part-time staff can also apply for medical or personal leaves of absence, which are approved on a case-by-case basis. Everyone is entitled to generous discounts on REI products and services, including 30% off trips taken with REI Adventures. Portland, Oregon-based Nike has seen its fair share of controversy, including persistent allegations that it used child labor in its overseas factories, but its tens of thousands of U.S. employees have it pretty good. All employees who work more than 30 hours per week are eligible for the company’s full-time benefits package, not just health benefits, as mandated by the Affordable Care Act. Part-timers who clear the 20 hour weekly threshold are eligible for some benefits as well. For part-timers who have been with the company for at least one year, Nike has a generous health plan that includes a manageable deductible with substantial coverage (low coinsurance) above that amount. Preventive and basic services, including office visits and prescriptions, are included in the plan. Nike doesn’t publicize further details of the available plans, and requires part-time staff to pay their plan’s full cost – but, as a group insurance plan, it may be more affordable than a private insurer’s individual plan. Basic dental and vision coverage are included as added out-of-pocket expenses. Part-time employees with at least one year of service qualify for a stock purchase plan that allows employees to use up to 10% of their total earnings to purchase stock at a 15% discount. 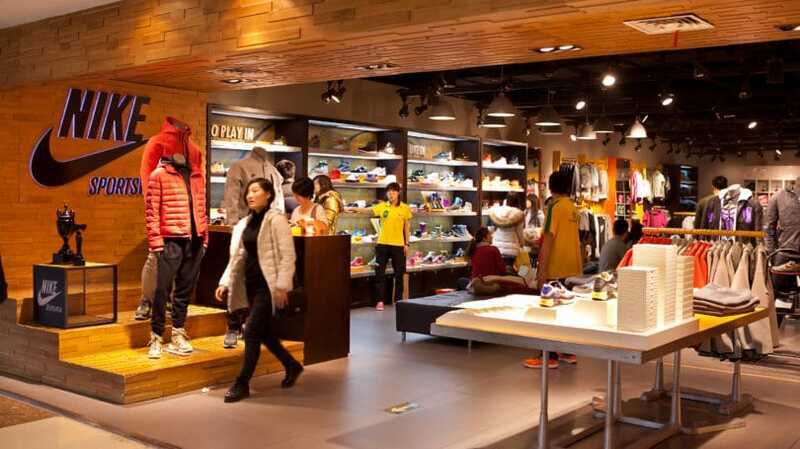 Nike also offers a 401k plan for eligible part-timers, which includes a dollar-for-dollar match on contributions up to 5% of total income, and a profit-sharing program that kicks in after one year of service. Other benefits for one year veterans include disability, life, and death/dismemberment insurance, paid time off (30 hours per year worked for the first two years of service), paid sabbaticals, long-term care insurance, transportation discounts, health club discounts, and optional health savings accounts. With roughly 5,000 year-round employees, Dodgeville, Wisconsin-based Land’s End is one of the smaller companies on this list. However, its retail business is highly seasonal, creating part-time opportunities for thousands of warehouse and customer support workers during the holidays. 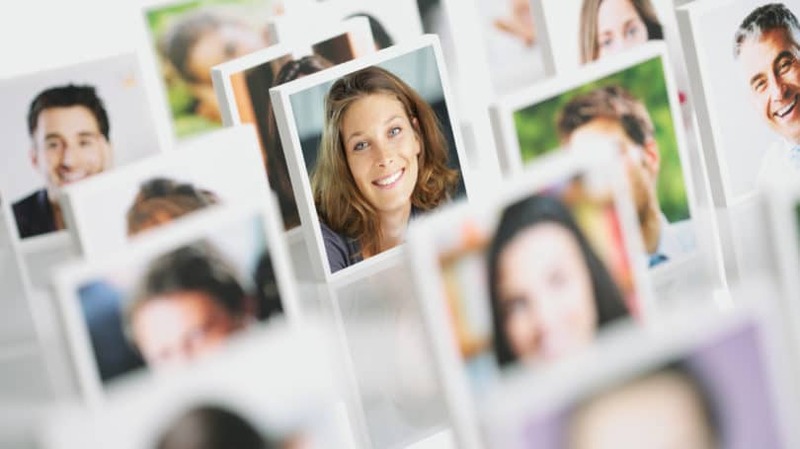 Temporary and part-time workers are eligible for numerous benefits. 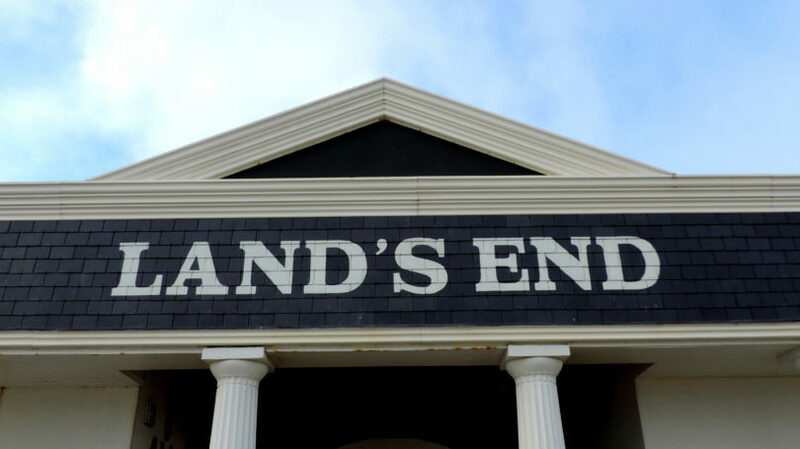 Land’s End offers dental and vision coverage to all employees upon hire, although the details of these plans aren’t public. All workers also receive access to an on-site medical clinic at Land’s End headquarters, which offers low-cost preventive care and basic services. Land’s End doesn’t offer subsidized health insurance for part-time employees, but year-round and returning seasonal workers can purchase group coverage at full cost. Seasonal workers who sign up to work the following holiday season retain these benefits during the off-season. Non-seasonal Land’s End part-time staff are immediately eligible to contribute to a 401k plan, the details of which aren’t publicly available. All employees based at the company’s headquarters have free access to a fitness center, which also offers wellness and medical training classes, such as CPR, for a fee. An onsite health food store offers wholesale prices on meats and veggies. And all employees receive discounts on Land’s End products and at Sears retail locations. As the country’s largest self-serve moving firm, Phoenix-based U-Haul has about 18,000 employees and tens of thousands of trucks, trailers, and storage units. With a work-from-home customer service team and lots of seasonal warehousing and sales positions, the company’s workforce is flexible. Part-time wages start around $8.50 per hour, but regular pay increases bump the average wage up to $13 per hour for all non-salaried employees. Part-timers enjoy solid benefits. U-Haul offers a limited medical and dental plan that includes coverage for annual office visits, low prescription copays, and partial coverage for more expensive services. The company doesn’t make deductible, coinsurance, or premium figures public. Employees must cover the full cost of premiums, which may be more or less expensive than those for a comparable individual plan. Additionally, these medical benefits don’t meet the minimum requirements of the Affordable Care Act, so supplemental insurance may be required. All U-Haul employees who log at least 20 hours per week are immediately eligible for these limited benefits. Full-time employees are eligible for more generous medical plans that do meet the ACA’s minimum requirements. 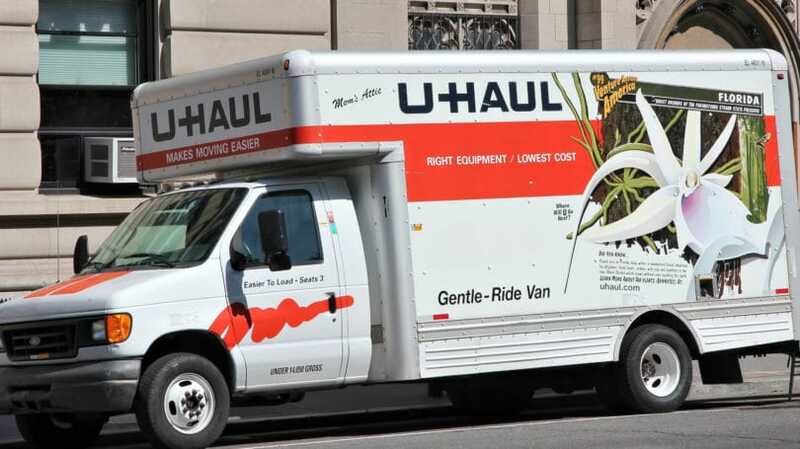 After a year of service, part-time U-Haul employees who log 20 hours a week are eligible for direct stock purchase and 401k plans, although the company doesn’t make these details public. Additional perks include travel insurance, discounts on U-Haul equipment, and access to a company credit union. JPMorgan Chase & Co is a blue-chip financial institution with a storied history and a reputation that’s alternately buttoned-up and high-flying. Its products and services are too diverse to name here, but the most recognizable bits of its business include consumer and business bank accounts, private wealth management services, and a host of popular cash back credit cards and small business credit cards. Chase might not seem like the best choice for a part-time summer job or second gig, but it actually treats part-time employees pretty generously. After 90 days of employment, those logging more than 20 hours per week are eligible for a generous benefits package outlined in detail in the Highlights of the JPMorgan Chase U.S. Benefits Program. Chase employees can choose from one of four medical coverage options: a Point of Service (POS) high option, a POS low option, an EPO/HMO option, or a “consumer-driven health option” plus health savings account. Most plans cover 100% of the cost of in-network preventive care, no exclusions for pre-existing conditions, spouse and domestic partner care, and more. In all cases, Chase shoulders some premium costs, though it doesn’t make details of this arrangement public. Generally, veteran employees and those with higher positions of responsibility within the company enjoy more generous cost-sharing arrangements. Chase also supports three dental plan options with similar cost-sharing arrangements: preferred dentist program (PDP), dental maintenance organization (DMO)/dental health maintenance organization (DMHO), or traditional indemnity dental option. A separate health spending account option, with variable employer contribution, is available as well. Chase offers a slew of additional benefits for 20-hour-plus employees: flexible spending accounts (including accounts earmarked specifically for transportation and elder care), long-term disability insurance paid in full by Chase for employees earning under $60,000 per year (likely to include most part-timers) and partially for higher-compensated employees, life insurance, AD&D insurance, personal liability insurance, discounted employee stock purchase program, 401k plans with variable but generous employer contributions, and more. While some companies have scaled back benefits for part-time employees, it’s still possible to find national employers offering solid benefits packages to part-time staff. These benefits might not be as robust as those offered to full-time workers, and they may have restrictions or limits on coverage, but employer-sponsored plans still tend to be more affordable than plans purchased on the private market, especially when companies help subsidize the cost. Do you receive part-time benefits through your employer? Are you satisfied with the coverage and assistance you receive?